The success of your health goals does not rely only on the type of workouts that suit you but also on the foods you consume before and after a workout. The right foods before a workout help optimize your energy levels while the right foods post workout help your body to replenish and recover. After you exercise, your body experiences localized muscle damage and tears, also called delayed onset muscle soreness. This occurs when your muscles lengthen every time you apply force, like lifting weights or jumping rope. As such, your body needs the right fuel to aid in muscle recovery. You can grab for an energy drink to immediately replenish your body. But if you prefer natural remedies to aid your body in the healing process, you can try a variety of medicinal herbs that have been proven to be effective since time immemorial. More and more people are turning to the old ways of healing and wellness because conventional medicines are more geared toward healing the illness and not treating the roots. Medicinal plants and herbs, on the other hand, have healing properties that are found to be safer than the conventional meds. They also cost less and are easier to obtain. The roots of the turmeric have anti-inflammatory properties, which could help with health issues like arthritis and gastrointestinal problems, and antioxidants, which can aid in faster muscle recovery after a strenuous workout. The curcumin compound in turmeric promotes healthy inflammatory responses as well as helps maintain overall health. 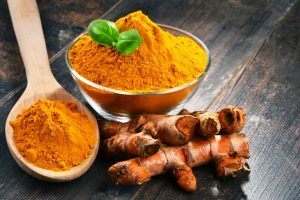 Curcumin is also an important component in the production of proteins, which is vital in the regulation of immune cell function and is very helpful during training sessions. There are a lot of ways you can incorporate turmeric in your food post workout. Maca root is another beneficial root to aid you in your muscle recovery. Originally hailed from the Andes mountains in Peru, maca has been used by the Inca warriors to enhance their performance. Maca is popular for its ability to support energy and stamina and boost healthy libido for both sexes. It’s also an adaptogen, which is very helpful in managing stress. Ginger is one of the most popular beneficial condiments. It’s used as a spice to add flavor to food and as medicine for its therapeutic benefits. Ginger contains gingerol, a substance that acts as a highly potent antioxidant and an anti-inflammatory agent. Gingerol and other bioactive agents in ginger help soothe stomach troubles, boost immune and respiratory function, fight infections, and even help prevent cancer. According to research, ginger is also beneficial in the treatment of muscle pain and inflammation after a workout. Tea. boil freshly grated root and mix with lemon and honey for optimum benefits. Supplements. Ginger in supplement form is available in the market. Food flavoring. Can be added to stir fried vegetables and meat. Boswellia is popular and valued for its fragrant raisins, which are used as incense. But the benefits of the raisins from Boswellia trees go beyond its fragrance. 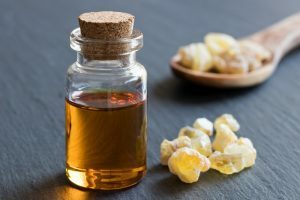 Since the ancient times, Boswellia has been used to treat pain, promotes a healthy inflammatory response, helps to maintain healthy joints, promotes a healthy gut, and promotes proper blood circulation to the connective tissue of the body. Extracts of Boswellia are used as an anti-inflammatory and over the counter pain reliever. Supplements. Dosing guidelines recommend 300 to 500 milligrams two to three times a day. It’s best to consult your doctor for the right dosage. Frankincense essential oil. You can use oil to massage over painful areas. Add a drop of oil to steaming water and soak a towel in it, place the towel on the painful muscle or on your face to inhale it. Rhodiola is another traditional medicine that has been found to boost mood and raise energy. It’s an adaptogen that helps in dealing with stress, enhance health, combat fatigue, and stimulate the body. Rhodiola helps speed up your body’s recovery process. After an intense workout, your body may not be able to do more physical activity due to muscle soreness caused by micro tears in the muscle. In this situation, Rhodiola can be your best companion because of its healing properties that can aid in your fast recovery. Rhodiola is best combined with other substances that can aid in your recovery. Rhodiola is available in supplement form and is available online. When buying one, make sure you get the genuine product from a trusted seller. Green tea is a popular traditional medicine known to aid in the body’s metabolism. It has antioxidant properties that help support metabolic and cardiovascular health. Studies show that a combination of green tea and caffeine helps with endurance. Green tea is also found to be effective in muscle building, especially for older people who start to lose muscle mass. Mixing green tea to a fizzy lemonade for a refreshing recovery process. The antioxidants in lemon blend well with the anti-inflammatory properties in green tea. Mixing green tea with a brewed ginger to make a nutritious chilled tea.